We're pleased to offer you opportunities to learn new skills, meet new friends and explore your community. Please look through our catalog and find classes that meet your needs and pique your interests. Once you find something of interest, you can set up an account and enroll online. Check out our ECFE Classes! Winter Registration is now open. Check out over 200 classes! 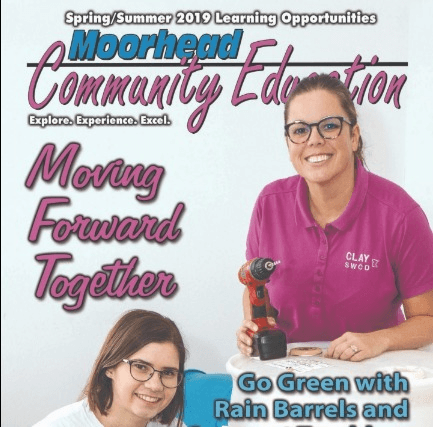 Moorhead Community Education is well-known for its large selection of adult enrichment classes. Courses in arts and crafts, cooking, computers and recreation are offered in the winter, spring and fall through three annual catalogs distributed in early January, March and late August. Annually about 9,600 area residents enroll in more than 900 Community Education classes. Call 218-284-3400 to request a catalog or to register for a Community Education class with a credit card. 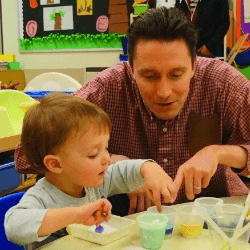 ECFE offers classes and activities for parents and their children, ages birth to kindergarten entry. Both parenting and child classes are taught by licensed professionals. Adult Basic Education offers day and evening classes for adults who haven't finished high school or need to learn English. Preparation classes for those who want to obtain their General Educational Diploma are offered. Call 218-284-3450 for more information. 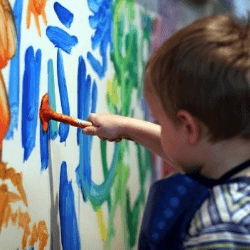 Jump Start offers age appropriate activities, curriculum and assessment. All classes will also include circle time, snack, art and learning centers. Call 218-284-3400 for more information.